Lincolnshire-based housebuilder Allison Homes (www.allison-homes.co.uk) is to officially open a new show home at its Pinchbeck Fields development (http://larkfleethomes.co.uk/pinchbeck-fields-pinchbeck/newhomes) near Spalding. The VIP opening of the show home will be on Friday 9 February when the ribbon will be cut by Allison Homes’ CEO Karl Hick. The public is invited to join in the opening celebrations by coming come along to take a look at the house from 3:00 pm that afternoon and share some light refreshments. The show house will give prospective buyers the opportunity to experience a ‘real life’ version of their potential new home and includes features such as family rooms, open plan living areas, luxury dining, bathrooms and spacious bedrooms. Pinchbeck Fields is a brand-new development of 2, 3, 4 and 5-bedroom houses on the edge of the Lincolnshire village of Pinchbeck, combining the charm of rural living with all the amenities that the bustling market town of Spalding has to offer. New Allison Homes properties in Pinchbeck Fields are built to last using traditional brick and block construction. The official opening will give local estate agents, solicitors, mortgage advisors and potential customers a chance to see for themselves the quality and finish of Allison Homes’ newest development. Karl Hick said: “We are looking forward to opening the show home at our latest Allison Homes development at Pinchbeck Fields. This new development demonstrates our commitment to deliver developments in rural areas which cater for a full range of housing needs. 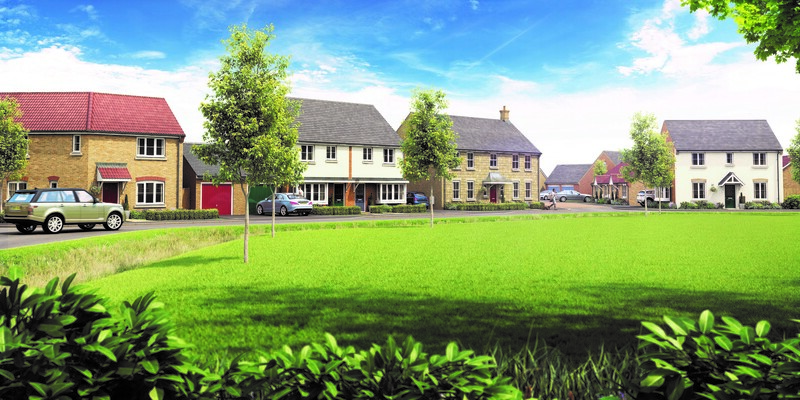 “New homes in Pinchbeck Fields will enable first time buyers to join the housing market while growing families are catered for with 3, 4 and 5-bedroom homes on offer. “We are committed to working with local authorities and local communities in our ‘core areas’ of Lincolnshire, Peterborough, Cambridgeshire, Northamptonshire and Rutland. “We continue to deliver high quality homes that meet the urgent need for new housing that will enable people in these areas to ‘get a foot on the property ladder’ or move on up to larger properties”. Pinchbeck Fields is located just to the north of Spalding, close to some of the best schools in Lincolnshire. There are rural trails, traditional pubs and restaurants and tranquil waterways right on the doorstep. Residents can enjoy the rural lifestyle and the arts, entertainment and shopping facilities of Spalding. There are also excellent transport links to Bourne, Boston, Kings Lynn, Peterborough and Stamford. Following its official opening on 9 February the show home will be open seven days a week between 10:00 am and 5:00 pm.